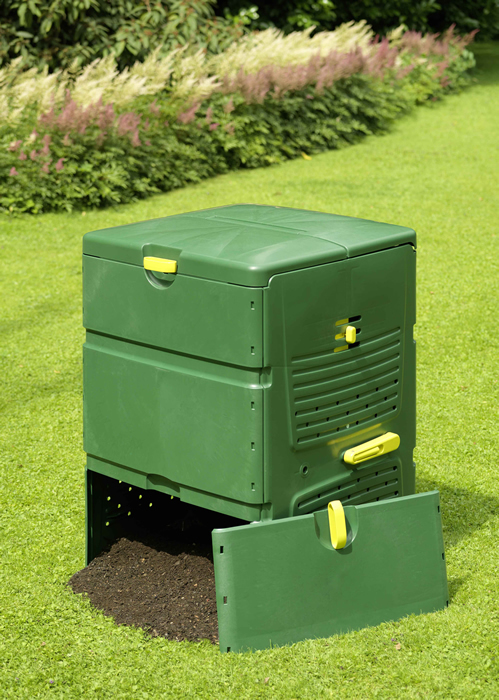 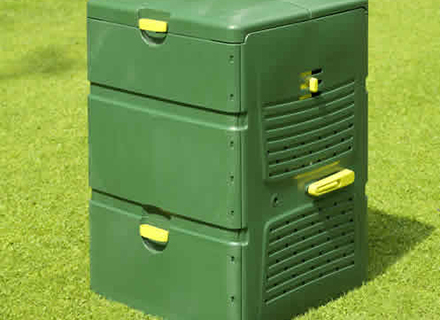 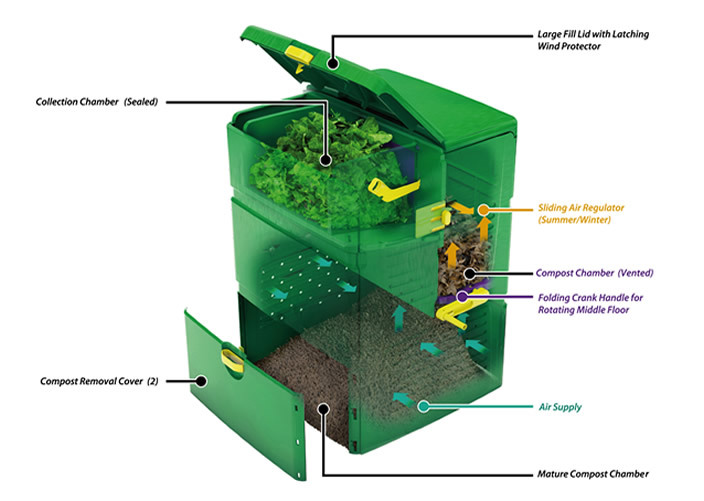 The Aeroplus 6000 is the lastest in multi-stage vertical composting. 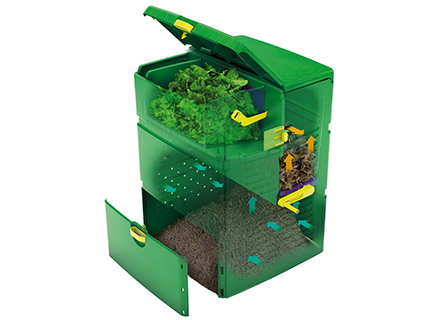 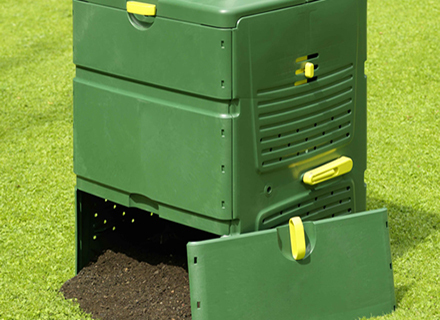 It is designed to take up less space that 2 or 3 regular compost bins. 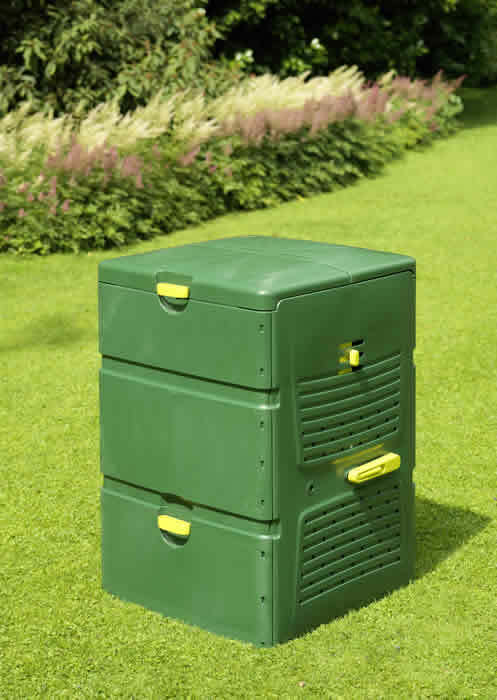 Constructed of 5mm thick plastic, the Aeroplus is much more durable than other 3 stage units. 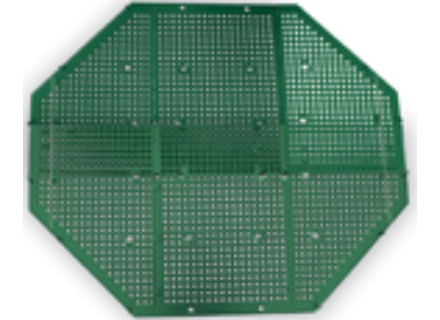 Walls include unique "active" aeration system which provides controlled air flow for optimal microbial action. 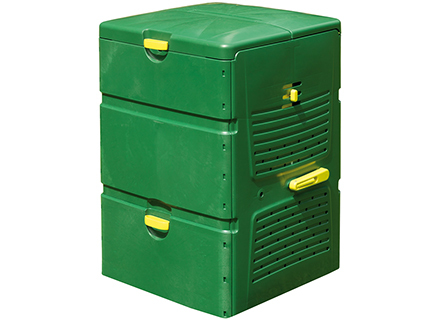 Lid is hinged with turning handle "lock" to keep animals out. 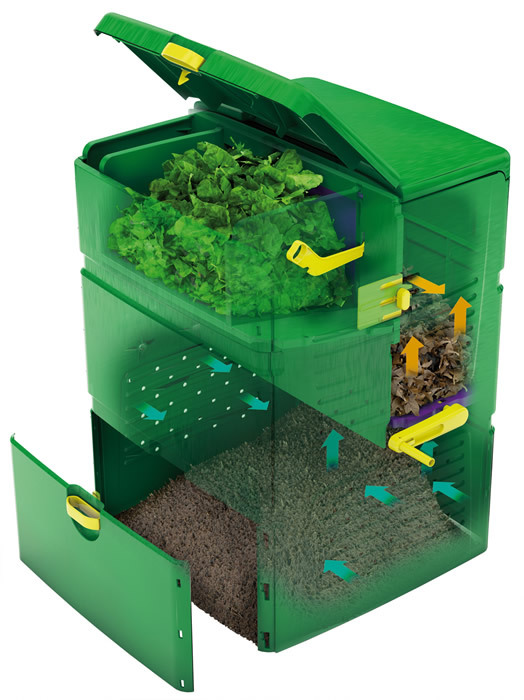 Stage 1: Collect Fresh organic matter in the large top bin. 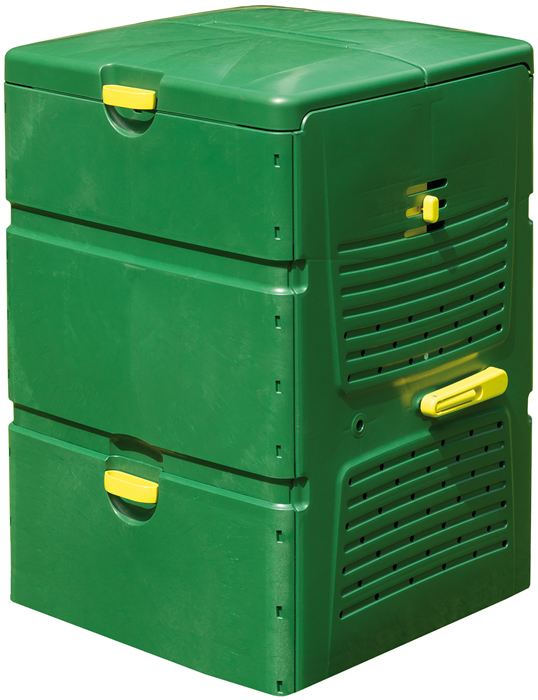 Stage 2:strong> Push waste through to 2nd level to undergo main breakdown process, turn the side handle to drop compost to maturing chamber. 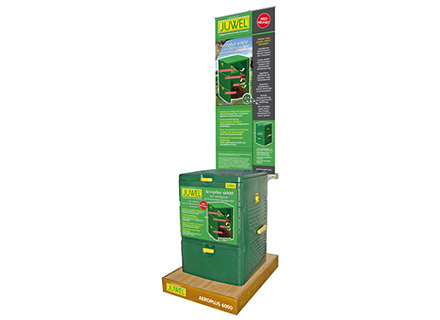 Overall Size Box: 44.9" x 31.5" x 8.9"
Universal Base Box Size: 24" x 18" x 4"